Founded by illustrator and mama, Kelli Murray, Rylee + Cru merges art and imagination, offering unique and artistic clothing for the modern child. The collection, which includes everyday wear, swimwear and accessories, consists of quality basics that are each hand garment dyed, giving them a soft vintage feel right out of the box. Manufactured completely in the US out of high quality materials including organic cotton, the comfortable shapes and unique prints make dressing easy for both baby and mama. 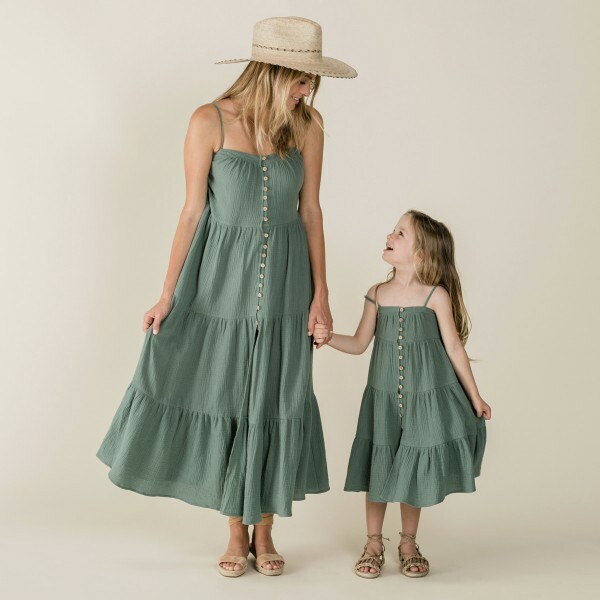 Light and breezy, the Rylee + Cru Tiered Maxi Dress has a loose and flowy fit that makes it perfect for Spring or Summer days.